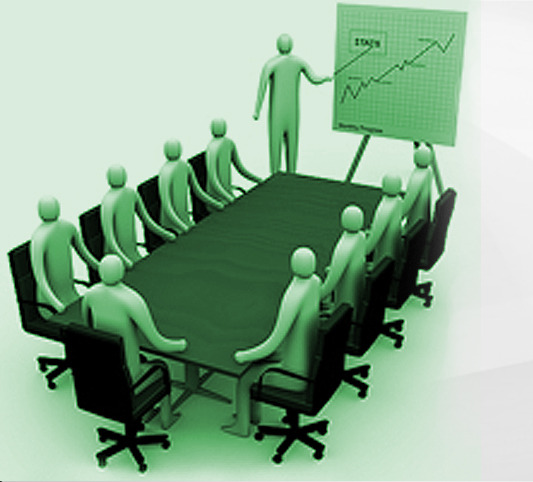 One of the most important tasks assigned to managers is employee training. In every division of a particular company, there is a requirement for personnel trained in responsibilities specific to their roles. This is the same for accounting, advertising, sales and customer service departments. In order to ensure the presence of qualified personnel, it is essential to hold training seminars that instruct employees on specific skills needed for successfully carrying out their tasks, as well as enhance collaboration and communication. 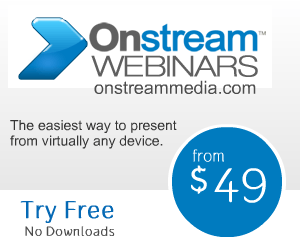 And one of the most effective training tools available is the Onstream Media webinar. Webinars are basically what the name implies: online seminars. Attendees will simply have to log on at a certain time, after which they will be able to take part in an Internet seminar. Alternately, some webinars may offer a phone in option, which allows those without Internet access to join in on the event. There are many advantages to be gained from attending a webinar. One of the most significant advantages is that they allow input from speakers located in other places. Given the virtual nature of the Internet, resource speakers from other states–and even other countries–can take part in the seminar with ease. In addition to raising the quality of the presentation, this also allows for a more cost effective presentation, with lower logistical expenses. Another way that Onstream webinars can be beneficial is with regard to flexibility. This has proven to be a particularly significant benefit for purposes of online management training. Given the way that webinars allow any number of people to attend, they are equally suited for training small groups of select employees, or larger groups. In fact, webinars make it possible to conduct one-on-one online training seminars with individual employees without incurring excessive expenses. And by utilizing webinars for group training, it will be much easier to encourage collaboration and communication among company employees. You can get a lot more mileage out of your webinars by simply making archives of all your events. Recordings of your events will be beneficial not only for those who didn’t attend the live event, but also for those who attended but wish to go over key details. It is common knowledge that information is actually absorbed more effectively with repeated exposure, and granting access to webinar material that can be viewed at their own time will ensure much better retention and interest. Most live presentations have lower viewership counts than archived videos, because of the difficulty in having to be online at a specific time. This means that the typical webinar is missed by many people who would benefit the most from them. With the simple act of archiving your presentation and making it available to your audience, you can expand the reach of your webinar significantly. But perhaps one of the best things about Onstream webinars is that they allow for different types of learners. Whether your audience prefers to learn by listening, watching, or following along with onscreen demonstrations, webinar training is an effective way to learn.